This economical product provides over 29 square feet of soil area?for a total material & paint?cost of approximately $180.? It is great for any gardener who prefers to garden at waist-level?or has physical limitations that don?t allow gardening at ground level. This product is also?ideal for elderly, disabled and handicapped gardeners. Easy access while standing or sitting. Unrestricted access under the soil tubs. Plans are designed for an overall height of 36-1/2? (standard kitchen counter height), but adjustments can be made to change the height during initial construction. 12? deep soil box?provides very adequate soil depth for all of your plants. 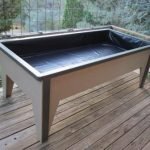 This very sturdy?structure can be placed on your wood deck or concrete patio.? You can also place it on the soil in your garden area, perhaps with a stepping stone block under each leg to keep it from settling deep into the soil surface. The entire?frame structure can be lifted, moved or relocated, by two people, once the soil box is emptied.? The four sides and the bottom of the structure can also be disassembled (simply by removing screws), if necessary. Every single part is readily available at your local ?Home Depot? hardware store or any good hardware store. This product is?professionally designed by mechanical engineers at Schultek Engineering & Technology, for many years of reliable service. 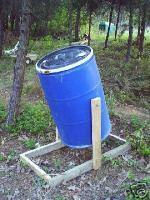 This is a great weekend project,?requiring just basic construction skills and some common wood-working tools. Designs for the complete waist-high raised-bed structure. Thorough and complete dimensioned drawings and photos are provided.? A PDF copy will be emailed to you when payment is received. 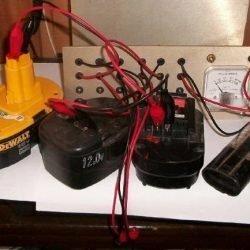 A complete and detailed list of materials is provided. This product is designed so that every single item of hardware and lumber can be readily purchased at your local ?Home Depot? or?hardware store, or any other good hardware store. Every item is identified specifically by a photo, UPC barcode number or other identification to make your trip to the hardware store very efficient. A complete list of required and optional?tools is provided. Actual outside dimensions of basic frame (as shown in photos) are 100? long x 48? wide x 36-1/2? tall.? Height may be easily adjusted to user preference, at the time of construction. Actual total soil surface area is 29-1/3 square feet.? The inside soil box dimensions are 96? x 44? x 12? deep. Basic external and internal frame is made of standard ?2×4? and ?2×2? dimensional lumber and 7/16? thick OSB (oriented strand board) sheathing. Very rugged and rigid structure.? Heavy-duty construction adhesive (applied with a simple caulking gun) is applied at key joints to provide excellent strength and rigidity. 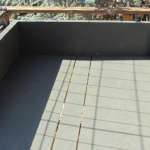 Bottom of soil box is reinforced with 2×4 lumber and heavy-duty galvanized steel brackets and screws. OSB (oriented strand board) side panels and bottom, reinforced on the bottom with 2×4 dimensional lumber. 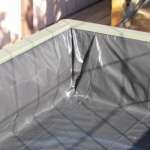 Lined with heavy duty, non-toxic black plastic sheet. 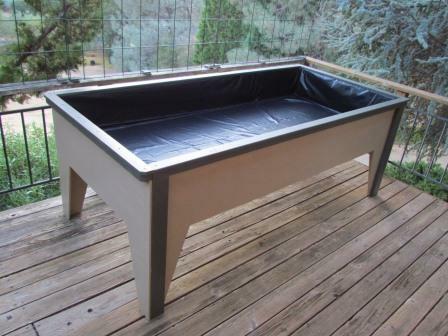 Alternatively (instead of plastic sheet), soil box sides and bottom may be painted with a thick, non-toxic, water-proof acrylic latex paint (details provided w/ plans). 12? internal soil box depth. Bottom of soil box is slightly tapered for efficient drainage.? Drain holes span the length of the soil box, down the center. 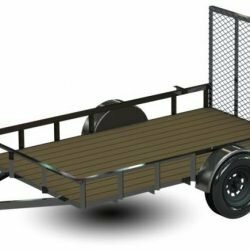 This can be manufactured and assembled with basic skills and a few common wood-working tools. Dimensional lumber and OSB wood panel may be pre-cut to size at your local Home Depot?or other hardware stores. The construction cost for the product shown was $143 for all wood and hardware and $38 total for high-quality primer (2 quarts) and paint (2 quarts).